A group of local musicians are celebrating a major milestone after releasing their first album yesterday. 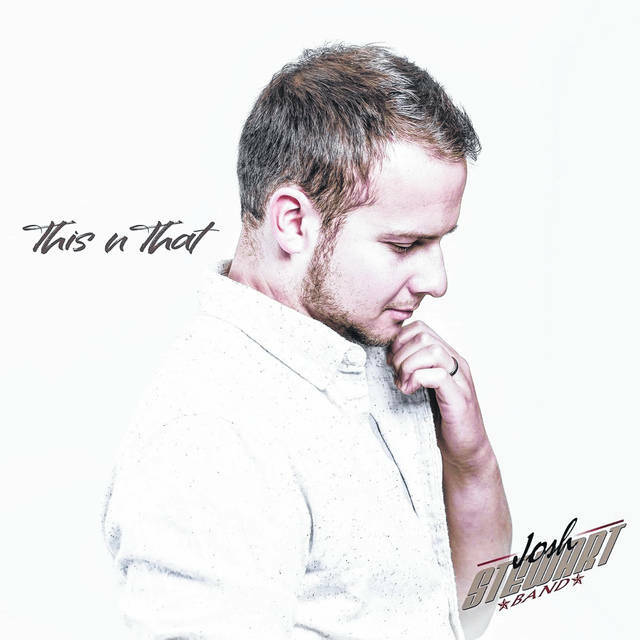 “This n That” from The Josh Stewart Band was dropped yesterday on streaming services like iTunes, Amazon, Spotify, and Google Play, and featured ten tracks. The country-rock band, composed of seven total members, released the album after working on the project for more than two years, and recording three of the tracks with producer Robert Venable, who has worked with artists Megadeath, Kelly Clarkson, and Twenty One Pilots, in Nashville, TN. Band members include keyboardist Mark Smith, drummer Matt Bennett, guitarist Tyler Payne, bassist Denver Triggs, original guitarist Orville McClaskey, vocalist Danielle Stewart, and lead singer Josh Stewart. Josh Stewart says he researched Venable and decided to reach out to him. In December of 2016 the group went to Nashville and got to work on the three tracks. Once completed, Stewart realized he wanted to make more music to create a full album. Early summer 2018 Stewart and the band recorded several additional tracks at Hitmaker Studio in Wheelersburg. The final two songs were completed at Waverly High School, and the album had finally come to life. The band released their single “Crazy”, track number 2 from their album, in February of this year, and received very positive feedback. The track “Coming Home” is a patriotic song by the band, telling the story of a soldier who has to leave his family. The song tells of both the solider and his family during the difficult time as is a song the band feels will be relatable and will resonate with military families. One special track on the album is a homage to another local artist, Steve Free. According to Stewart, growing up he was a huge fan of Free and once received a harmonica from the man, which he kept with him into adulthood. Upon listening to Free’s 1993 album, Stewart discovered the song “Evil Woman” and liked rock genre track, which strays from Free’s signature folk stylings. Stewart gained permission from Free to perform the song with his band, and even performed the song alongside with Free at Portsmouth Riverdays. After hearing the band perform his song, Free said that he liked the way the band performed his song and gave them the okay to record the song. Stewart said that finally releasing the album that has been in the works since 2016 is surreal. According to Stewart, aside from the already released videos like “Coming Home,” additional music videos will be released in the near future.